Lent is a call to renew a commitment grown dull, perhaps by a life more marked by routine than by reflection After a lifetime of mundane regularity and unconsidered adherence to the trappings of faith. Lent requires me, as a Christian, to stop for a while, to reflect again on what is going on in me. I am challenged again to decide whether I, myself, do truly believe that Jesus is the Christ--and if I believe, whether I will live accordingly when I can no longer hear the song of angels in my life and the star of Bethlehem has grown dim for me. Often times Lent involves abstaining from certain foods or pleasures. It is a season for reflection and repentance. Surrendering these things is intended as stimulus for this kind of formative season. (For one example, here are the fasting rules for the Orthdox Church in America.) Many people choose something that is a luxury and surrender it for this season. Some choose food or drink (chocolate, alcohol, caffeine, sugar, etc. ), others choose services or experiences (manicure/pedicure, secular music, television, etc.). No matter what they choose, at the end of the Lenten season (at Easter) the fast is broken in celebration of resurrection and we return to our regular consumption. CONFESSION: For a number of years I engaged in this kind of fasting. Often it involved giving up caffeine and carbonated drinks. And while I never went through a Lenten season without successfully fasting from these things, it was Easter Sunday that exposed the frailty of this spiritual exercise. Without fail, before arriving at church Easter Sunday to celebrate the resurrection, there was a large, caffeinated, carbonated drink already gone. The practice of self-discipline was concluded with an explicit, intentional act of (over)indulgence. Something was amiss. And so in the last couple of years I have worked to "give up" something for Lent that I cannot recover. I have sought to surrender my ignorance or indifference to a group of people or issue. In 2014 I surrendered my ignorance of the realities of mass incarceration and its disproportionate impact on communities of color. Through reading, documentaries, and planned experiences I sought to form myself in ways that made me aware and empathetic to those who's life is shaped by these realities. In 2015 I plunged into the realities of child abuse and neglect. I sought to move from issues to making this problem no longer a distant reality for some, but a reality which I seek to actively confront and prevent. In 2016 I want to be formed, and invite you to be formed, not towards a specific group or situation, but to be formed in a specific way. I want to invite you into a deep and meaningful exploration of mercy. 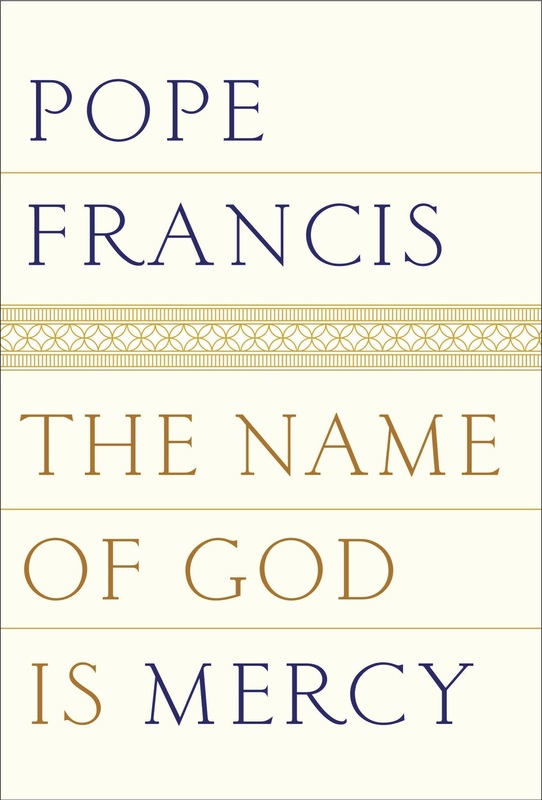 This year I want to write through and reflect on the powerful new book by Pope Francis, The Name of God is Mercy. This book is a casual conversation between Francis and a veteran Vatican journalist about the embodiment of the Year of Mercy. While directed specifically at The Catholic Church, it's structures, practices, and values, it offers an insight into the ways in which the larger church can seek to embody the love and mercy of God. It is for this reason that I wish to write and reflect on this book explicitly as a Protestant and within the Church of Christ tradition. I think there are important things to be learned from this text and from their practices and postures, but there are also a number of contributions that our place in the Christian Tradition can provide. So I hope you will join with me as we launch into an exploration of what it means to be people who are shaped by a God who is known by his mercy. God's mercy can make even the driest land become a garden, can restore life to dry bones. ... Let us be renewed by God's mercy, let us be loved by Jesus, let us enable the power of his love to transform our lives too; and let us become agents of this mercy, channels through which God can water the earth, protect all creation and make justice and peace flourish.